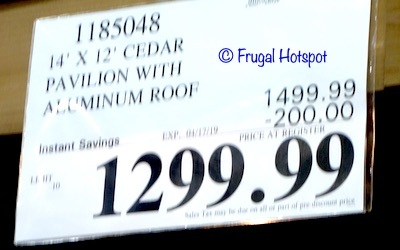 Need to protect that beautiful Costco patio furniture set from the sun and other elements? 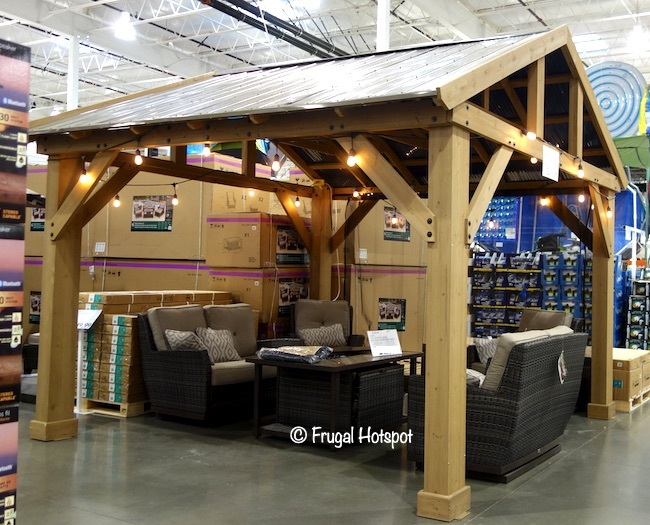 Select Costco locations have the 14′ x 12′ Yardistry Cedar Wood Pavilion with Aluminum Roof on sale for $1,299.99 (after instant savings), now through April 17, 2019. That is $200 off Costco’s regular price of $1,499.99. While supplies last. Item #1185048. 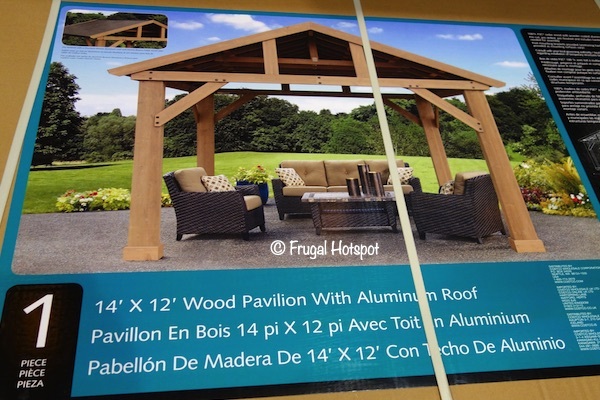 This large Pavilion, with interior dimensions of 10’ 4” x 10’ 5”, can accommodate most outdoor living furniture and dining sets. Furniture and accessories are NOT included. Furniture, accessories and lights are NOT included. Please consult your local city, municipality and applicable HOA guidelines for guidance on building codes and/or zoning requirements for your area before purchase. This structure may require a permit.